This is a colonial fiction set in Florida. Louise acknowledged at the end of the book that she planned to write this from the American perspective but later believed it was appropriate to write this from the British viewpoint. Since Florida was a British and Loyalist stronghold, this makes sense. This is the third book in the series. The hero, Thomas Moberly, is sympathetic as a naval captain struggling with the loss of his wife and child, years earlier, and with difficult relationships with family members. He also is trying to come to terms with his own beliefs. Thomas is a mature character and I appreciated that Louise really fleshed him out and had him work through some life issues that needed to be resolved. Dinah is a somewhat restrained character, however this fits with her life circumstances (under her brother-in-law’s thumb) and her background. Dinah Templeton’s brother, whom she loves, is aligned with the American patriots’ cause, which results in conflict. This is a historical romance produced for the mass market, so it is a somewhat shorter book than some. I found it to be a good length matched to the story line and with good pacing, even in the middle section, which is always hard to keep moving. This was an enjoyable read. 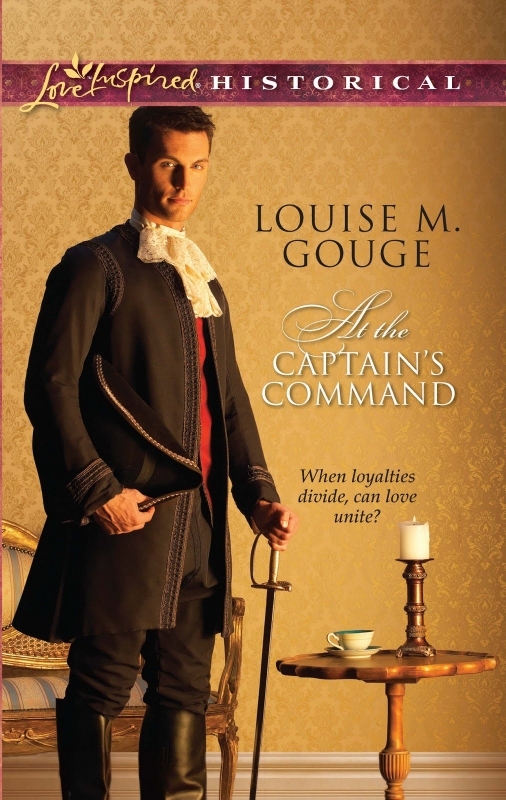 Thank you Louise for writing At the Captain’s Command! You are “spoiling” us colonial fiction lovers! God bless you! Formats: I read this on my Kindle, which made it much easier for me to read. At this point in time only paperback and Kindle or ebook versions are available. No audiobook. developmental life issues – transitions, accepting changes in sibling relationships, growing in maturity, etc. GIVEAWAY: Leave your email address with your comment for a chance to win a copy of this book! Carrie, Looking forward to reading Louise's latest. Her covers are always delightful and this one is no exception. I really appreciate your bibliotherapy aspect as it really gives fascinating insights into the book. Thanks so much! Thanks, Laura! I figure there are lot of reviewers out there but since there is a psychologist reading it, why not include that element? Bibliotherapy was one of the very first interventions that the great Ralph Tindall (considered to be the Father of School Psychology) taught me in graduate school. Don't enter me cause I already own a copy of this fabulous book. I'm just dropping in to say that this is my favorite book of Louise's!! It's wonderfully written, very romantic, and very exciting. I highly recommend it. I'm curious to know what year this was set. Florida's history is very interesting and unique as far as the colonies go. 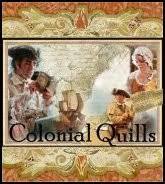 I love to read about colonial times. Please enter me. Would love to be entered in this giveaway! I am a Florida girl and have since moved but it will always stick with me:) Thanks for the chance at winning it! What a great review, Carrie! I'm like Laura, love the bibliotherapy aspect. It makes the review alot more interesting and informative. Please don't enter me as I already have this book. Just wanted to stop by and put in my two cents worth. Lynn and MaryLu, thanks for stopping by. Will check on the year. Jo and Charity, good to see you here! Hot down there, isn't it Charity? Diana, I think it is five cents, adjusted for inflation, maybe more! Great review, Carrie. I love that you include the formats and your bibliotherapy analysis. I enjoyed the first two books in the Moberly series and have this one on my tbr pile (so please leave me out of the drawing). This book is set in 1780. You can read more about it, including an excerpt, in our Fiction Sampler. The link is at the bottom of this post as well as on our sidebar. At the Captain’s Command sounds like a great book to read. 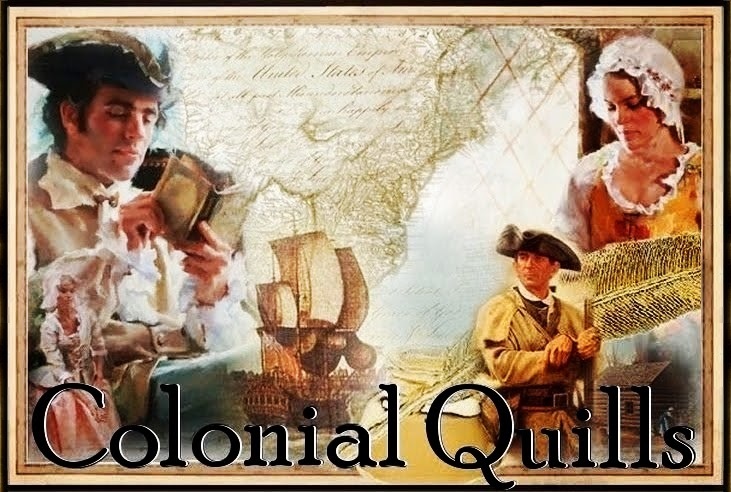 I love reading about colonial times. My husband's ancesters came to America in the 1600's, not to Florida, but to Rhode Island. It all is a fasinating time period in our country's history. Thanks for the chance to win. I have heard so much positve about this book! Great cover! Sometimes this length book is perfect for me to finish while I'm proctoring exams. So please enter me in the drawing. Blessings! Debbie, Faye, and Renee Ann, It is so nice to get those new colonials to read! Blessings! Please enter me into the drawing to win this book. I love historical fiction. I love to read and do book reviews as well. Great review! Thanks for the opportunity to win a copy of this book. Awesome review! Congrats, Louise! Sounds like a wonderful book. I'm so sorry to be chiming in late. I appreciate everyone's comments and Carrie's analysis. Makes me feel like a real author. LOL! Louise, you are so funny! I wonder if I will feel that way when, Lord willing, I am multi-published! Thanks Pegg and I am getting winners' books and gifts out today, including Fire Dragons' Angel! Jennifer, I am gonna get down to NC in the fall as my cousin plays baseball for a UNC campus not far from you plus I want to go to the Moravian museum, oh and thanks! This books is highly recommend by MaryLu Tyndall - one of my favorite authors. Would love a chance to win a copy! Hey Sheri! Good to see you here! Thanks again for the MBT help! Will enter you! I am hearing great things about At the Captain's Command, please include me in the drawing. Thanks! Hi Merry and Ann, I am sure Louise will be so thrilled to hear that you are hearing good things about her latest book! Drawing tomorrow morning. I've read a couple of reviews for this book and they are all good. Thanks for the chance to win a copy. Congratulations to Sonia! Debra, good to see you here! I have the other two to read, also, and I have heard they are really good, too! Pegg, thanks so much for coming by and looking forward to a review by you on my blog sometime soon!